Royal Prince Alfred Hospital is one of Australia's premier tertiary referral hospitals and is recognised as a worldwide leader in healthcare excellence and innovation. It is the principal teaching hospital of the University of Sydney. Since its foundation in 1882, RPA has been a respected provider of healthcare, maintaining the philosophy that our doors are always open to those who need our help. RPA became a household name when the top rating television series the RPA Show took the stories of our patients into the lounge rooms of thousands of families around Australia and overseas. RPA provides an extensive range of diagnostic and treatment services to more people in NSW than any other public hospital. More than 1000 patients are treated at RPA every day. 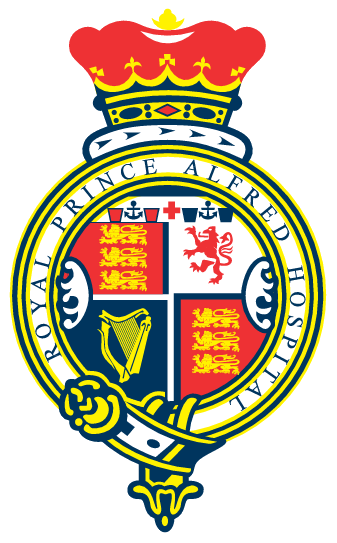 Royal Prince Alfred Hospital (RPA) was named after Queen Victoria's second son, His Royal Highness Prince Alfred, later Duke of Edinburgh. During a visit to Australia in 1868 Prince Alfred was the victim of an assassination attempt while on a picnic in the northern Sydney suburb of Clontarf. Australians opened a public subscription fund to build a hospital as a memorial to his safe recovery. The prince authorised his coat of arms to be used as the new hospital's crest. King Edward VII granted the hospital its Royal prefix in 1902. RPA opened as a 146-bed hospital and received its first patients in 1882 at the Missenden Road site. During that year 1069 patients were admitted. Now widely acknowledged for its tradition of medical innovation and leadership, RPA is responsible for producing many of the country's top clinicians. Its national and international reputation for excellence has long been established through the efforts of staff in patient care, teaching, research and support services, making it one of the State's premier tertiary referral hospitals.